The Isabella Chopping Board is an essential item in any caravan or motorhome kitchen. 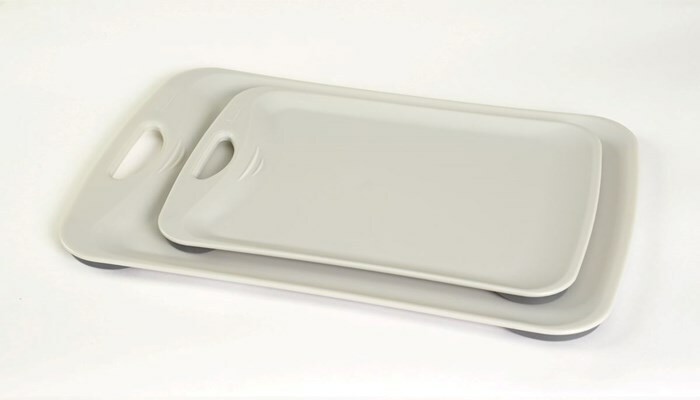 These chopping boards have a non-slip surface to prevent them from sliding around while you are trying to cut food. They also have a lip around the outer edge to stop juices spilling onto your work surface. The Chopping Board comes with a handle that can be used to hang it up in a cupboard. They come in a set of two , one larger, one smaller : 37 x 24 cm and 28 x 19 cm.